This post is sponsored by Ocean Spray, but all opinions stated are 100% my own. Pregnant this summer?! Why not kick up those (swollen) feet and relax while enjoying a delicious and refreshing non-alcoholic cocktail! Summer has always been my favorite season. I love feeling the warmth of the sun of my skin while relaxing on the beach or by the pool with a good book and a tasty cocktail. But this summer is different. It is July and I am 36 weeks pregnant. The sun is beating down, the humidity is high, and I am ginormous. Just look at this bump! But being pregnant doesn't mean that I can't still enjoying relaxing and unwinding outside. I simply have to adjust my routine a little bit. For example, I make sure to avoid sitting outside during the hottest hours of the days (10:00 am – 2:00 pm). Then, even after slathering on my sunscreen, I make sure to wear a hat or sit in the shade to avoid getting too much sun. 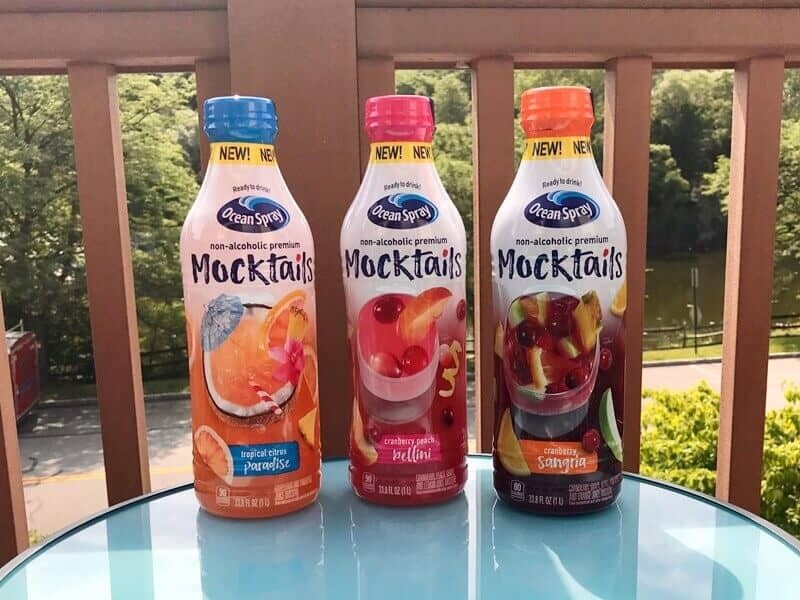 When it comes to that tasty cocktail, Ocean Spray has got me covered with their new Ocean Spray® Mocktails, a line of non-alcoholic premium juice drinks. Ocean Spray® Mocktails contain no alcohol, yet taste surprisingly like their alcoholic counterparts. 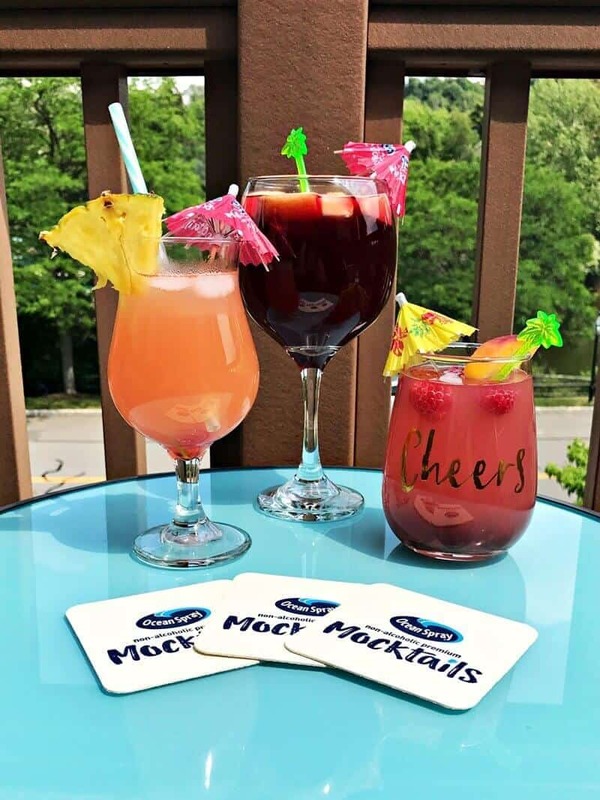 Ocean Spray® Mocktails come in 3 delicious varieties and can be enjoyed straight from the bottle or can be mixed with seltzer or sparkling water. For those that aren't expecting, you could even add alcohol to turn them into a real cocktail. 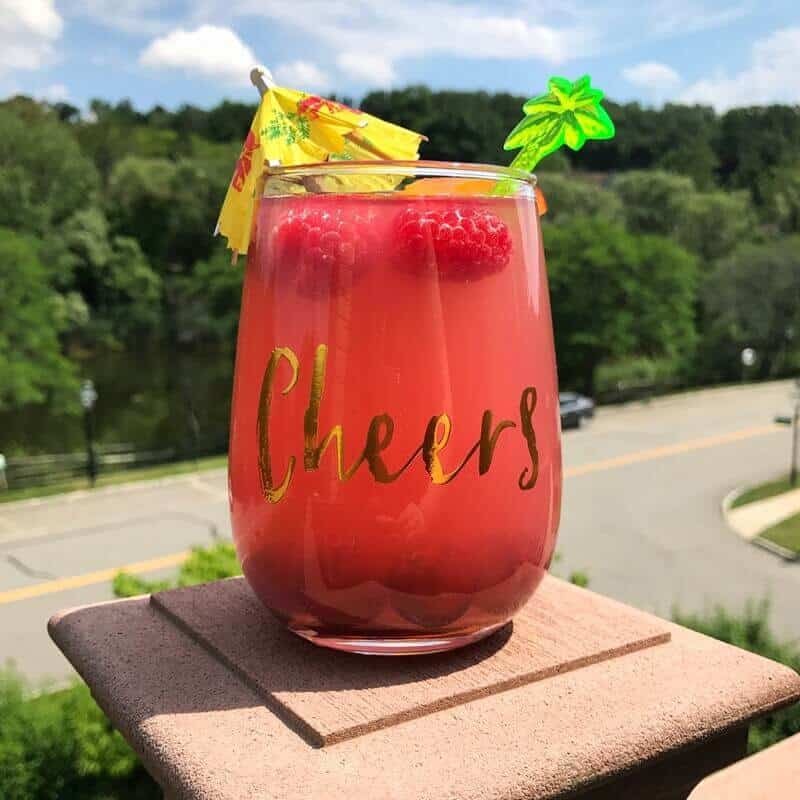 Personally, I like to enjoy my Mocktails mixed with a little bit of seltzer and garnished with fresh fruit. Kicking my (swollen) feet up and relaxing with a Mocktail has been a great way to unwind this summer. Ocean Spray® Mocktails are like my special little pregnancy treat. 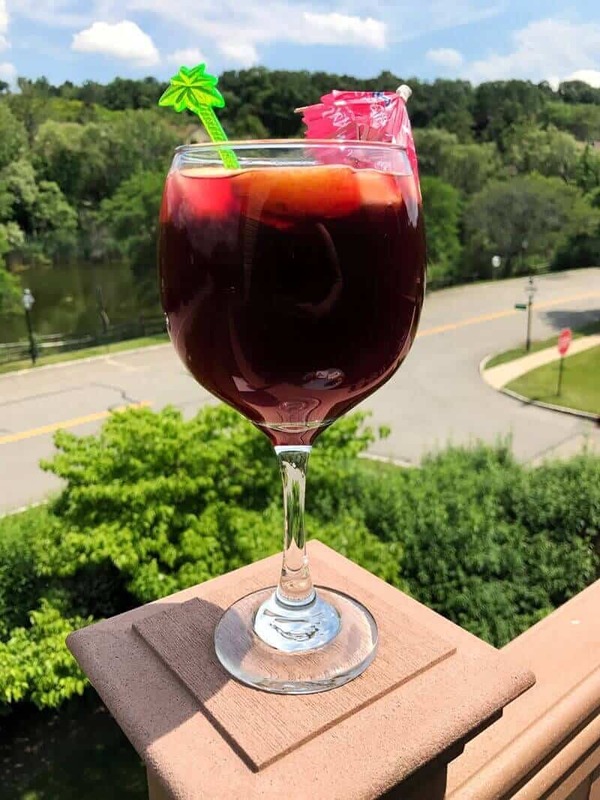 Plus, I can enjoy these non alcoholic cocktails guilt-free knowing that they are made with real fruit juice, contain no artificial colors, flavors, or preservatives, and are just 80-90 calories per serving. 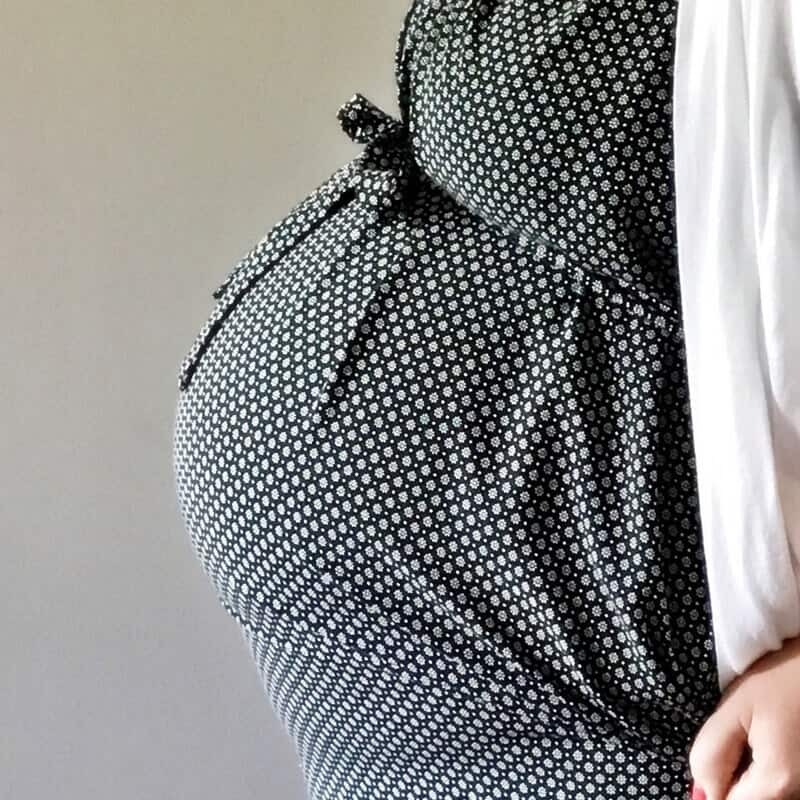 Even though my little man will make his debut in just a few weeks, I plan on still keeping my fridge stocked with Ocean Spray® Mocktails so that I can continue to enjoy them while breastfeeding. 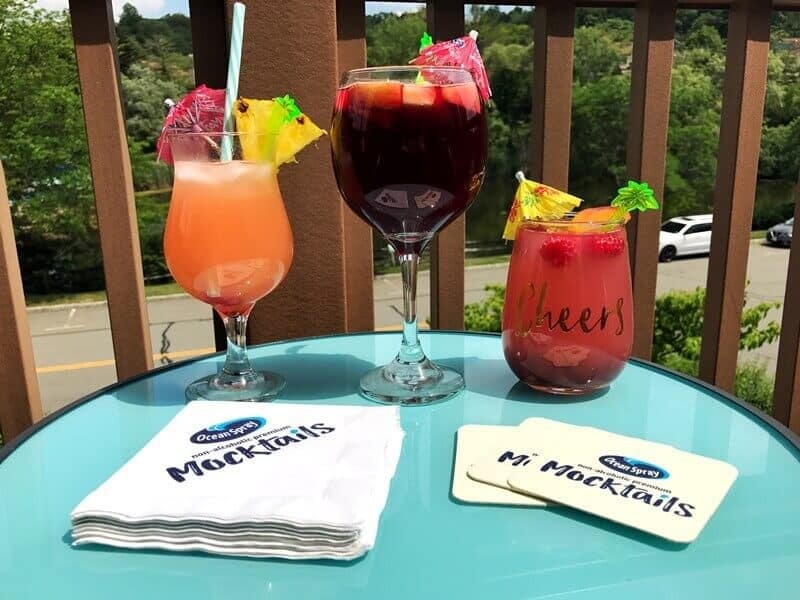 If you are pregnant, breastfeeding, trying to conceive, or simply trying to avoid alcohol, I would absolutely recommend you try Ocean Spray® Mocktails. They really are amazingly delicious and refreshing! Ocean Spray® Mocktails are available at your local grocery store or online on Amazon or Jet. Yum! Perfect for baby showers! Actually, I would drink these even though I’m not pregnant. The peach bellini looks like a great non-alcoholic brunch mocktail. Will have to mention this to my granddaughter–she is pregnant (much earlier than you though!) and probably would enjoy some different drinks that would be not only acceptable during pregnancy, but healthful! I did not know that Ocean Spray made drinks like Mocktails. I don’t drink alcohol, but these drinks sound and look refreshing. I like the different flavors! 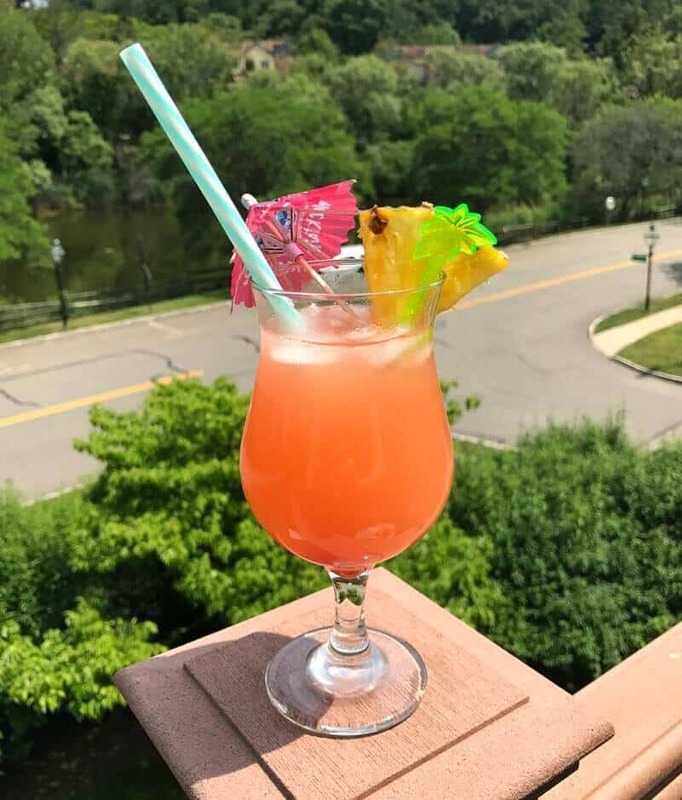 Tropical Citrus Paradise is the drink for me! Nine months is a long time to not even have a glass of champagne! Thank you Ocean Spray for making these delicious drink treats! And that’s really considerate of the mommies to be to care about their precious babies! I love virgin drinks rather than alcoholic drinks, and I believe they taste better too without the alcohol. My favorite are strawberry daquiris and pina coladas, virgin ofcourse. These are great for us, the Mocktails are just delicious! None of us are pregnant (nor are likely to be! ), but we are tee-totalers and don’t drink alcohol anyway. These are all so refreshing in the hot weather! We like to add a little sparkling water for that carbonation, too. I hadn’t seen these mocktails. I’m not pregnant, but I don’t drink so these are great. Oh my… I may not be pregnant but these mocktails are perfect for my husband and I as we don’t do alcoholic beverages. They look so good and refreshing for summertime!